Audiovisual Importance in Events ! 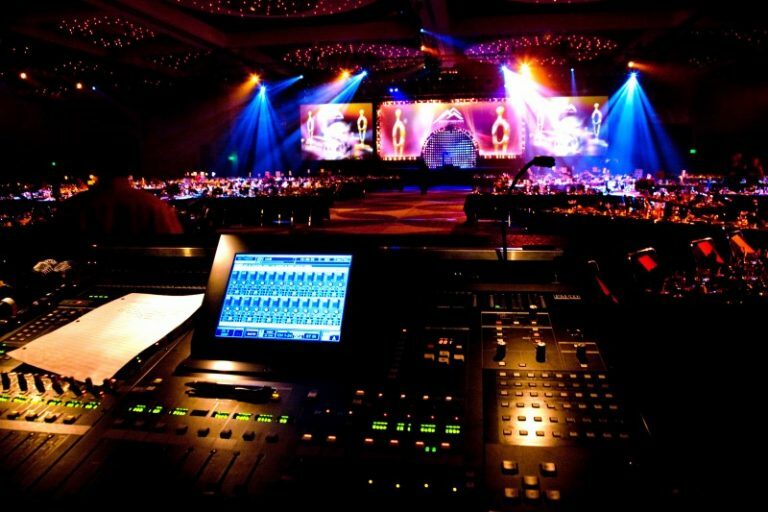 AV equipment rental in Delhi NCR ! AV stands for Audiovisual which makes a huge difference in Event Setup. It consists of technologies like Sound, Video, Display, Lighting, Projectors. Event venues are one of some important factors that helps in the creation of better setup. The Lights and fabrics are an outstanding blend when it comes to creating spellbind visual effects. Fabrics can give your event space a touch of magnificence, layer, depth, vivid texture and vibrant colours. Reflecting light off different fabrics really makes all the difference. How about a starry night canopy or a throne reflected of a regular chair or just a wash of different colours to uplift or tone down the mood? A dash of bright coloured lights brings us to the next point. Don’t be shy to use bright bold colours of lighting to voice your message. Turn up your lights as a mood booster for your audience and mellow it down when you need to. Furthermore, lighting up using wireless uplighting options is a great way to place various types of lights throughout the venue. And accentuate various decor elements of the location, in style without the fear of having your guests trip over wires, of course! Wireless option, remember?)! Can’t host your event outdoors? Then let’s bring the outdoors in, instead! Create a beautiful garden with an artificial turf, flowers and plants. And hit all the right notes by accentuating them with soft toned lights. You could add elements such as sand or a fountain to create the effect of a desert or waterfall respectively, with the right audio and light up. When done right, you can manage to create a perfect outdoorsy environment and a visual treat for your guests! These are really huge projections that are really catching on in the event industry. Projections covering the entire wall or floor will definitely take you to a different place and time. An entire wall projecting the beach, waterfall or hiking trail combined with lights and sound can make your guests feel like they have been teleported. (Well, not literally but the effect is pretty fascinating!) leaving them enthralled. What more could you ask for? Need help captivating your invitees with such stunning effects? You need the right team to back you up. Get in touch with White Massif one of the top corporate event management companies in Bangalore. We all love technology and we use technology so much in our everyday lives so we really like to think it can do no wrong but sooner or later technology disappoints. Here are the top most common audiovisual fails and how to solve them like a true professional. Wireless microphones are really the peak of AV technology but sadly sometimes they are very prone to a lot of noise, interference and other intense problems. These problems can be very disturbing for the people listening and also for the person using it. A really easy way to prevent and stop that is to make sure you have a backup microphone and an AV team to help you out with any difficulties. To prevent this you can make sure to test the video on the computer and try connecting it to the projector. If the video isn’t displaying still you can try another computer running software and make sure to avoid running the video directly on the internet you should have the video saved on the computer. Projectors really come in handy when putting out visuals for your audience members and some issues you can have with this are: Projector lights are burned out- Wait till the next break then swap and replace the bulb. Poor image quality- Adjust the computer’s resolution until the image quality improves. Just like everything else hand-held remote controls also fail. It the remote control is failing at turning on the projector make sure the remote is pointing directly towards the projector and hold it down for at least 3-5 seconds. Check the instructions on the remote control beforehand to make sure you know how to operate and work the remote. That is how to fix any AV problems and difficulties you might have. The worst thing that could happen in the middle of a very important presentation is that the power fails and everything goes completely blank. You can fix this issue by having a backup generator that helps you get things back running. And you could also prevent this problem by figuring out everything that might cause a power failure before it actually happens so you can know how to take care of it.